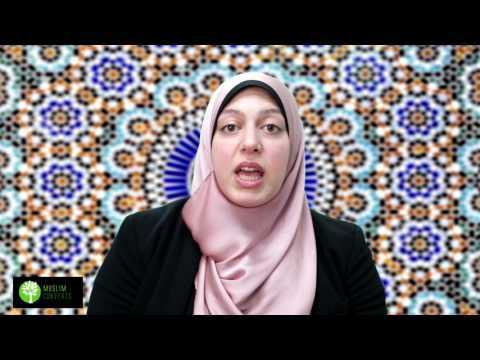 Welcome back to the Muslim Converts! The central guiding source-text of Islam is the Holy Qur’an. It is in the Qur’an that we find the central themes of salvation for humankind. These central themes are quite vast, they include the importance of belief in one God, the importance of the moral and virtuous life, the centrality of prayer in human salvation, the viciousness of sin and protecting one’s soul from it, the importance of preparing for the Hereafter, the centrality of having a united Muslim community, and many, many other things. We know that the Prophet Muhammad (s) emphasized the importance of Imamah in the salvation of humankind as well as it being a source for authentic Muhammadan Islam. All the topics that we mentioned are, in our common understanding, explicit in the Qur’an. Yet there are some who feel that Imamah is not talked about in the Qur’an. In this lesson, we wish to shed light on this little misunderstanding and demonstrate how Imamah, according to the Qur’anic narrative, is central in the guidance of humankind. Ibrahim (as) had been tested on many grounds. One of his first tests was being thrown into the fire. Ibrahim (as) had been preaching Allah’s message to the idol worshipers of his time, but its people weren't too happy about it and threatened to burn him alive if he didn't stop. Ibrahim (as), out of sheer courage and devotion to Allah, continued to preach Allah's message and as a result, was thrown into the fire. The Prophet Ibrahim (as) had spent a long time yearning for a child, especially a son who would succeed him in righteousness and in guiding humankind after him. At an old age, Allah miraculously granted him the gift of a baby son named Ismaʿil (as). Isma’il was the treasure and fruit of his life, yet Allah, wishing to test Ibrahim’s resolve in Allah, asked Ibrahim (as) to sacrifice him. Ibrahim (as) as obedient as he was, went ahead to carry the task but Allah stopped him, informing him that he had passed the test. At this point Ibrahim (as) was already a Prophet (s) and in the conventional sense, he was also a leader for humankind for that’s the role that Prophets assume. So the word Imam, although literally understood as leader, cannot mean a leader in the conventional sense. The word Imam also does not mean a political leader, as in a head of state or government. If this was the case, then the Qur’an would have mentioned something about Ibrahim’s (as) life in that capacity. However, from history and Islamic source-texts, including the hadiths, we know that this wasn’t the case. We find in the Qur'an that whenever it mentions imamah it puts guidance side-by-side - it looks as though Allah was using the latter to explain the former. Allah says in the story of Ibrahim: And We gave him Ishaq and Ya'qub as a further gift; and We made (them) all righteous ones; and We made them Imams, to guide (people) by Our command... (21:72 - 73); and He says in another place: And We made of them Imams to guide by Our command as they were patient, and they were certain of Our signs (32:24). Here the imamah is explained, or rather defined, in terms of guidance, and then further qualified with the proviso, "by Our command." Clearly, the imamah does not mean any type of guidance; it is a guidance, which emanates from the command of Allah. And the reality of that command is described in these words: His command, when He intends anything, is only that He says to it: "Be", and it is. Therefore glory be to Him in Whose hand is the kingdom of every thing... (36:82-83); And Our command is but one, as the twinkling of an eye (54:50). Imam is a leader who guides by a Divine Command, which is closely associated with him. The imamah, in its esoteric sense, is al-wilayah (guardianship, authority) over the people in their actions and activities; and its guidance entails conveying them to the final destination by the command of Allah. The Prophets before Prophet Ibrahim (as) were local Prophets for their own people. By becoming an Imam, Ibrahim became the first Prophet to be a guide for all of humankind instead of being confined to one region only. As a product of having becoming an Imam, the Prophet Ibrahim (as) also assumed power over creation and became the metaphysical light through which humankind could to be guided towards God, either through direct personal guidance, or indirectly through his guiding light without meeting the person. In other words, just like Satan could misguide millions of people through the metaphysical realm, Ibrahim (as), by the permission of Allah, could guide millions of people across the world through the metaphysical realm as well. This was a new status that no one had attained before him. This is then the meaning of Imamah according to the Qur’an and is the status which the twelve Imams of the Ahl al-Bayt (as) inherited. So what’s the difference between Prophethood and Imamah? Prophethood is where a person receives direct revelation from God in order to carry out a particular task in the world, such as conveying a message or fulfilling a specific mission. Imamah is a cosmic status, it is where a person becomes the metaphysical vehicle of guidance for all of the world and acquires power over all of creation. One does not necessarily need to be a Prophet in order to acquire this status but the only non-Prophets who were worthy of this status were the Imams of the Messenger of Allah’s Household. The Prophet Muhammad (s) was the greatest of all Imams. Is every Prophet an Imam? Is every Imam a Prophet? Who is the first Imam ever? What is the difference between Imamah and Prophethood? Prophethood is where a person receives direct revelation from God in order to carry out a particular task in the world, such as conveying a message or fulfilling a specific mission. Imamah is a cosmic status, it is where a person becomes the metaphysical vehicle of guidance for all of the world and acquires power over all of creation. One does not necessarily need to be a Prophet in order to acquire this status.